Reading the title of this blog, you are very likely saying, ‘can’t wait for the calmness, where is it’? Will there ever be a day that involves nothing but calmness? Life is a busy game, always something to think about, worry about and hurry up lets get it done stuff, no time to sit still, there’s a great deal to be done, hectic are our lives, certainly no time to smell the roses. It started when we were kids, this fussy overworked attitude, your parents likely instilled in you what they called good work ethics, ‘you’ll never get a good job if your lazy’, ‘people won’t hire you if your going to sit around’, recognize those statements at all? Although our parents meant well and they felt like they were doing their maternal job with devotion by helping us to grow up with strong and capable moral principles, they didn’t realize that their values might have a profound effect on our core inner happiness. It is important more than ever in a world that seems to have gone completely mad, to sit and do nothing, nothing at all. 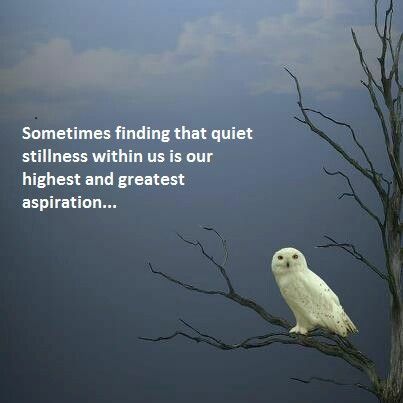 Some might call this meditation, call it what you like, actually I think sitting in meditation is still a way of trying to do ‘something’, sitting and doing nothing is what I think is best, because it is an opportunity to be able to connect to the soul of who you are. Sitting, standing or lying on your back, whether it be in your living room or on the grass in your back yard or local park, this is where you will find the calmness your looking for. A few minutes to be able to centre yourself, a time to ground and be thankful, an opportunity to fill yourself up with self-love, a moment just to reflect on all of the goodness in your life, with something as simple as the toast you lovingly made for yourself this morning. When you can still yourself if only for a minute, your mind shuts off and beautiful you, that is when the calmness arrives. You deserve to feel moments of joy and peace, don’t deny yourself this simple gift, it is such a wonderful way to rejuvenate yourself and feel happiness, regardless of what is going on in your life.